Crew have been approved and will be sticky & locked. Leaders of the crew will create another thread for signing up as their member. People who wish to join their crew will need to state what position they want & what is their specialize. Before you sign up, follow the following template below. The First Mate is the second-in-command of the pirate crew. He or she usually oversees the work of the other crew members, and answers only to the Captain. The Navigator charts the ships path and keeps it on course. The Cook prepares the crew's meals and makes sure the kitchen is stocked. The Doctor treats everyone's injuries and handles the sick. The Gunner mans and maintains the cannons. He or she must be an expert marksman and usually wields a gun or some type of projectile-based weapon. The Shipwright fixes and maintains the ship. These positions are more like optional positions, as a ship can easily survive with out them, or another member of the crew can have abilities that branch into this area, rendering the crew with no need for the official position. They're useful if you want a larger crew, but don't want to create characters with no positions. The Second Mate is the third-in-command, answering only to the Captain and the First Mate. The position is normally only present on larger crews. The Helmsman steers the ship. 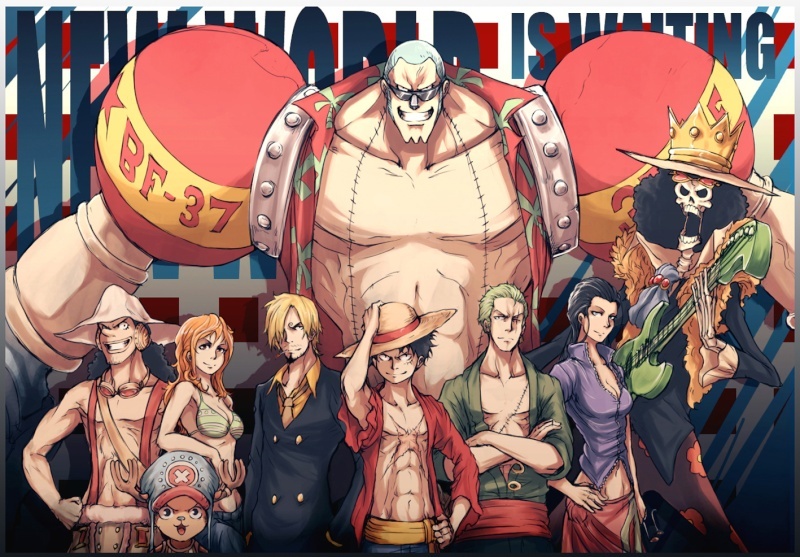 This position can easily be filled by any of the other crew members, as it is with the Straw Hats. But someone with the official position of Helmsman will be much more skillful with steering the ship than a member of the crew with a different official position. The Rigger handles the ship when docking and shoving off. Usually he or she unties the ship from the dock when setting sail, and ties the ship to the dock when docking. The rigger will also raise and lower the sail, and may also raise and lower the anchor. The Blacksmith repairs and maintains all of the weapons, armor, and equipment of the crew. They also make new weapons for the crew. The Tailor mends and sews up the damaged clothing of the crew members. The Scholar is the researcher and general knowledge expert of the crew. He or she will often provide the crew with information on locations and things they come across. It also helps for the scholar to have knowledge of languages, should the crew encounter people who speak a different language. The Chronicler records the crew's adventures in their log book. They normally don't take part in the major activities and goings-on so as to properly chronicle the events. Chroniclers are usually historians who have noticed the various changes and epic events that tend to happen when the pirate crew gets involved, and thus have joined up with them so as to "experience history as it's being made" and record it accurately. The Merchant keeps record of the crew's inventory and spending. It is usually the Merchant who will purchase new supplies, exchange treasure for Beli, trade with the people of every port town, and hand each of the crew members their spending money. The Musician plays music to entertain the crew. They are essential on long sea voyages, where pirates will have trouble keeping themselves entertained. The Cabin Boy or Girl performs the grunt work and menial chores on the ship. Considered to be junior or apprentice pirates, they are usually kept busy so as to teach them the lessons of being a pirate. When there is no work to be done, they are usually forced to polish cannonballs. Pirates often keep pets, so to speak. Cats are often kept on ships to hunt rats. And dogs are always faithful companions. And despite what some may think, pirate parrots weren't just a myth. Historically, pirates really did keep parrots as pets. The talking birds kept pirates entertained during long voyages. And since they were considered exotic, they often sold for high prices among the wealthy at port towns. Infantry are the members of the crew that have no position. They are usually unskilled in combat and easily taken down by officially positioned members of an enemy crew. They are usually only present on very, very large crews.